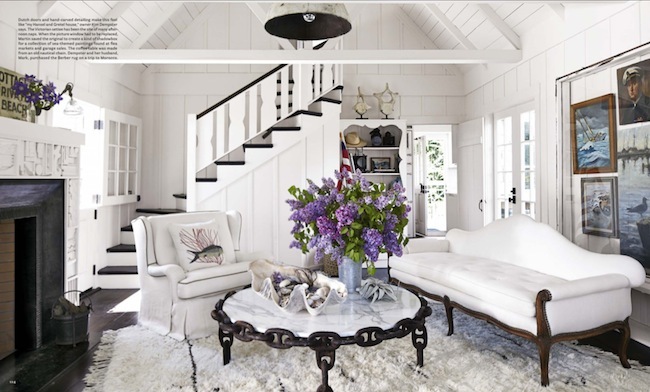 This month's House Beautiful was chock full of small space design goodness but I'm fairly certain that this cottage takes the cake for most of us. 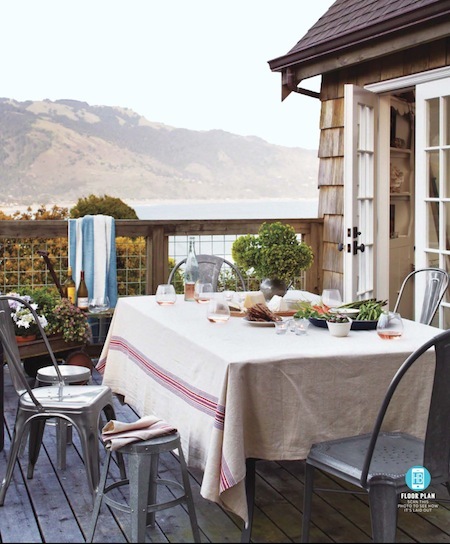 Situated along the northern Californian coast this small cottage has a fabulously chic beach style and can sleep up to twelve to boot. 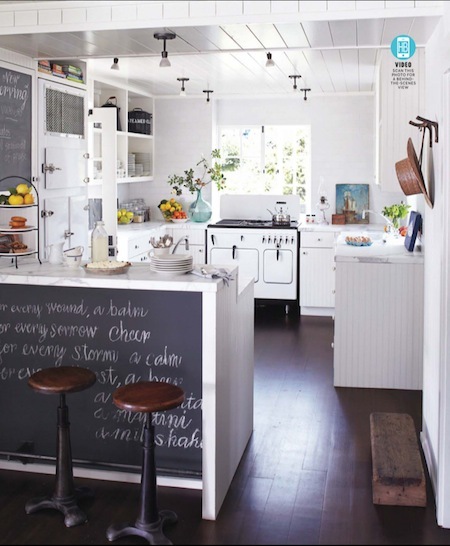 The decor effortlessly blends traditional vintage finds, industrial fixtures and contemporary without losing the cozy beach house feel. Obsessed with this dining area. Love those industrial pendants paired with traditional wooden table and distressed captain's chairs. Using sawgrass baskets beneath the window seat is a great storage solution for extra linens, serving ware, and other miscellaneous kitchen items. The outdoor space here is heavenly. 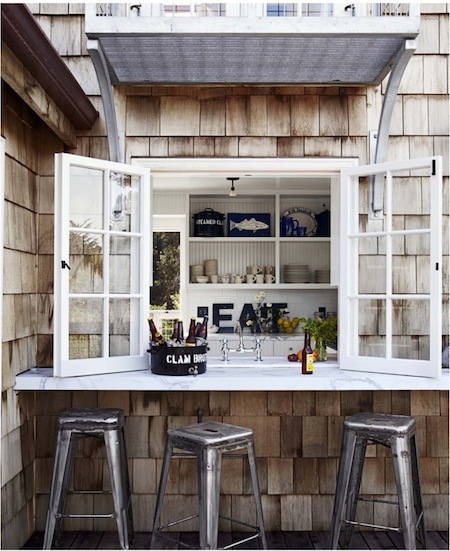 I love the play of the rough cedar shingles, the sleek Carrera marble and the vintage metal barstools; solid visual texture.